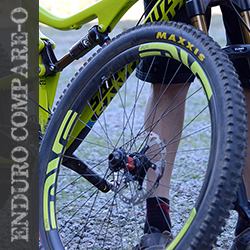 Picking The Perfect Enduro Bike: Which wheel size is right for you? The proliferation of the 27.5-inch wheel brought a new combatant to the Great Wheel Size Debate that had already pitted fervent 26-inch traditionalists against 29er evangelicals. Photo by Tyler Frasca. Editor’s Note: Here’s round No. 2 of our “How To Buy A Bike” series. Make sure to also check out parts 1 and 3 where we ask our panel of experts, How Much Suspension Do You Need? and what are The Most (and Least) Important Components? More flickable! Better rollover! Lighter! Bigger! Stiffer! Larger footprint! In case you haven’t already figured it out, these are the rotating arguments (pun intended) for which wheel size is the right wheel size. But as you’ll see in our round table discussion below, even our experts don’t agree. Yes, when it comes to enduro-style bikes, there seems to be a lean toward the burgeoning 27.5-inch standard. But that doesn’t come without a host of caveats. Indeed, what kind of rider you are and what kind of riding you plan to do will go a long way to helping you decide if your next bike should be a 29er, 27.5, or even…gasp…a 26er. As a refresher, our panel includes longtime bike shop mechanic Scot Banks, former Olympians turned enduro racers Jeremy Horgan-Kobelski and Andreas Hestler, rising enduro star Aaron Bradford, and for a woman’s perspective, Heather Irmiger, who besides being married to Horgan-Kobelski, is a former pro cross-country honch who’s now racing on the Trek Factory Racing enduro team. 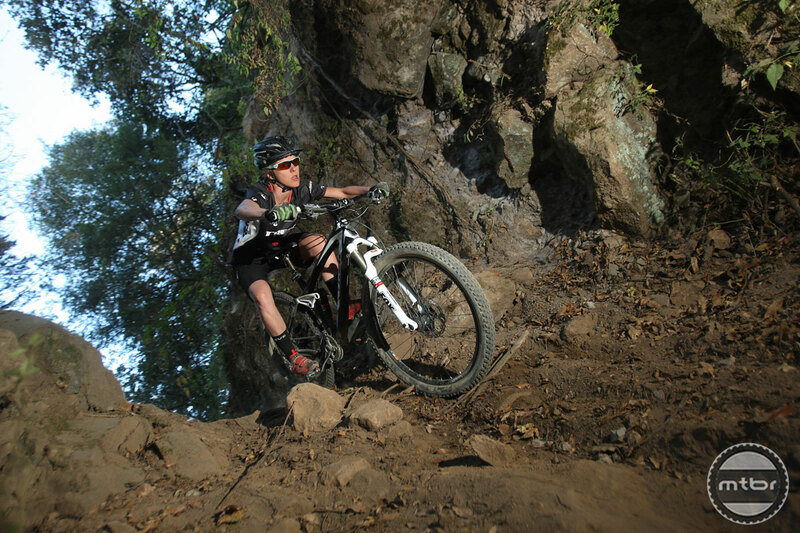 Yeti’s Jared Graves piloted his 26-inch-wheeled SB66 to great results in last year’s Enduro World Series, proving the death of the OG wheel diameter has been greatly exaggerated. 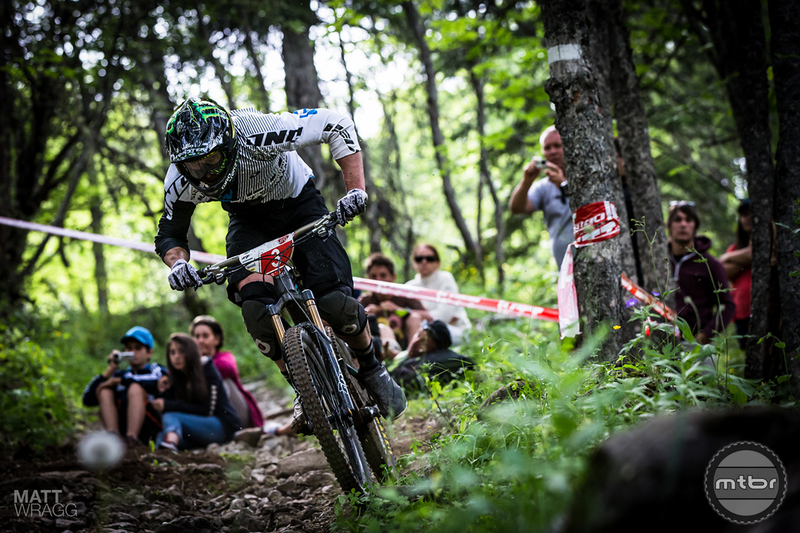 Photo by Matt Wragg/Enduro World Series. 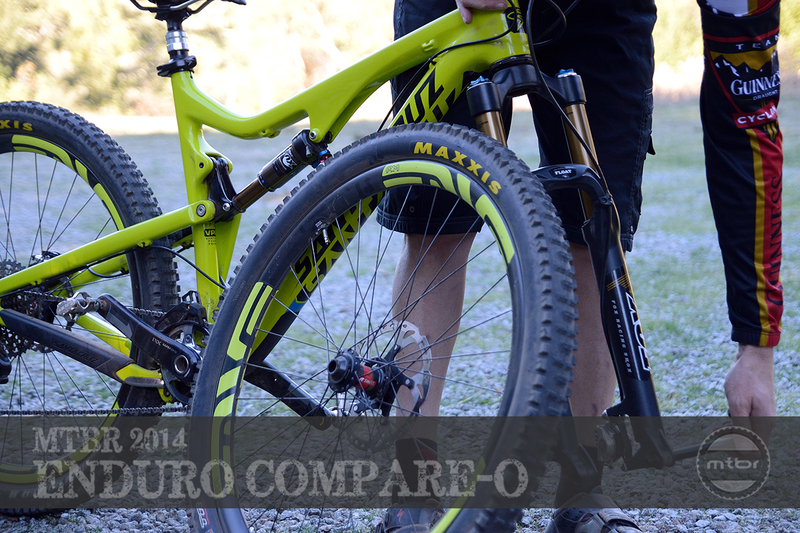 Make your argument for 26 or 27.5-inch wheels vs. 29ers? Scot Banks: What I always tell people is base the decision on you’re weaknesses. 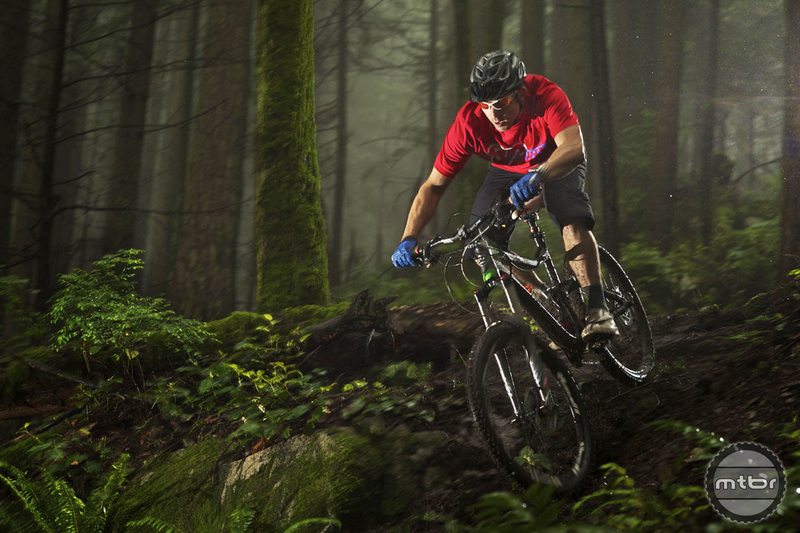 If your issue is getting hung up on big obstacles, a 29er could make more sense. But if you want to become a more nimble rider, then maybe smaller wheels make more sense. Whatever you do, make sure to test ride, test ride, test ride. That’s the only way to really get an idea of how a bike is going to work for you. Aaron Bradford: In theory, 26ers are going to be more responsive diving in and out of turns and getting up to speed due to the smaller wheel and lower rotational mass, and they are known for being more playful and lively for these reasons. Alternatively, a 29er wheel will offer more stability at higher speeds due to more rotational mass and they are more capable over rougher terrain due to the larger wheels ability to eat up imperfections in the trail. And 27.5s fall somewhere in the middle. Personally, at least for me, I think 29ers are better for race situations. You have a bigger footprint so you can carve harder in turns and brake later, and it really attacks rough terrain with less overall fatigue. Despite their reputation, Aaron Bradford doesn’t seem to have a problem riding 29-inch wheels in a playful manner. Photo by Tyler Frasca. Andreas Hestler: Because wheels are the No. 1 component for me, I’m more of a 27.5 fan. I love the 29er for certain applications, but the flex of most 29er wheels is just not conducive to really hard cornering or pedaling. If you can afford super light, super stiff carbon 29er wheels then maybe you’ll be good. But until the price point of those super high end wheels comes down, or the current price point wheels catch up in terms of stiffness, weight and durability, I want a smaller wheel that’s stiffer and lighter, so I’d go 27.5. 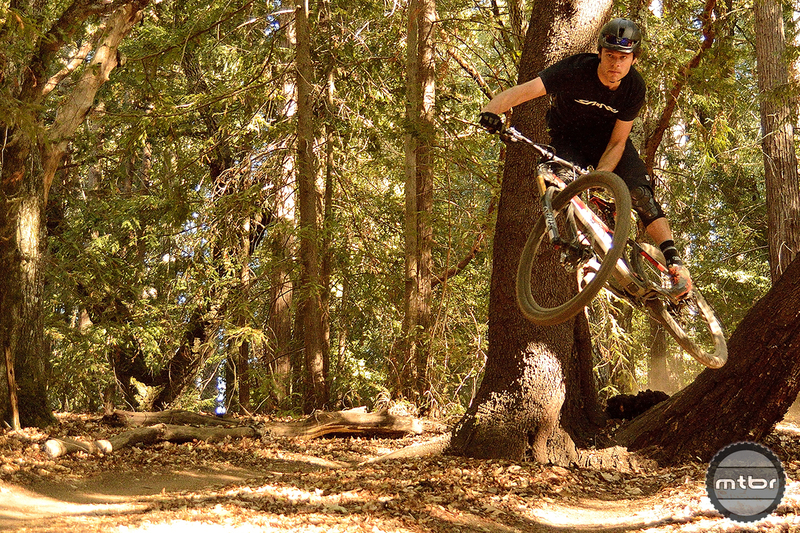 Dre didn’t always race enduro, but now that he does, he prefers 27.5. Photo Courtesy of Andreas Hestler. Jeremy Horgan-Kobelski: I’ve spent a lot of time on both wheel sizes, and there are definitely advantages and disadvantages to each. Personal preference definitely plays a role, which is why we’ll see multiple wheel sizes for a while. Generally, 29ers are a little faster in most terrain situations but aren’t as ‘playful’ and don’t quite give the same ‘feel’ of the trail. Personally, I am a little more comfortable on my 27.5-inch bike in gnarly situations — either super technical sections or big jumps and drops. Longer suspension travel generally works better with 27.5-inch wheels than 29ers, so that’s another consideration. 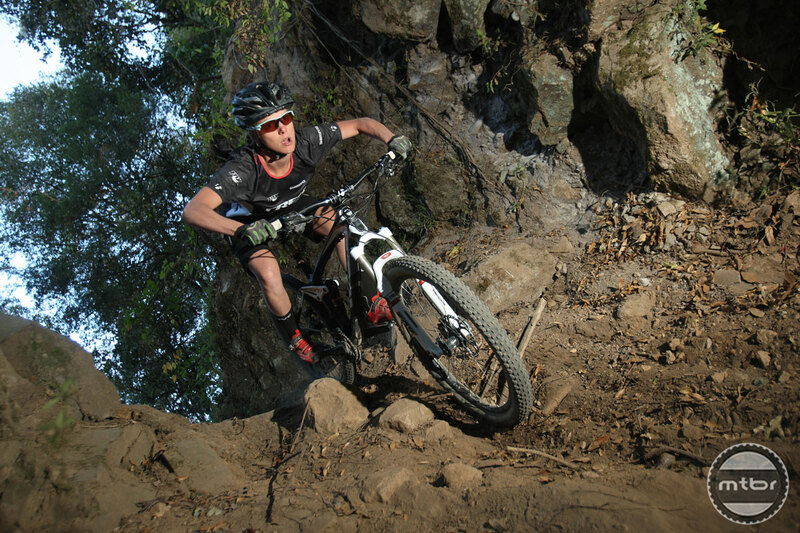 The bottom line for me, is that my 27.5-inch bike is the most “fun” one I have in my quiver with the best feel for the trail, which makes it the best enduro race bike for me. Jeremy Horgan-Kobelski sees benefits to both 29 and 27.5 wheels, but usually opts for the tweeners when it’s race time. Photo courtesy of Trek Factory Racing. Heather Irmiger: I’ve been a huge fan of 29-inch wheels since I first got on one that was properly sized for me (medium). But my enthusiasm has shifted as my riding style has moved away from strictly cross-country riding. In back-to-back testing, I found the 29er trail bike to be very fast but not quite as “whippy.” I had no issues with cornering or technical rock sections and drops, but some of the last second corrections I wanted to make weren’t as easy. Also, the 29-inch wheel has more un-sprung travel, which means you get more feedback from the trail regardless of your suspension length or setup. This is part of the reason it makes for such a great XC/trail option. You can really work with the feedback you get from the platform making it fast. For me, though, I’m all about the 27.5-inch wheel size and it’s balance toward fast and fun. This size lives up to the hype of being the perfect middle ground. You get more rolling traction and it bogs less in rocky, technical terrain like a 29er does. Alternatively, it’s super flickable, whippy, and maneuverable like a 26-inch wheel. This playfulness is very important to me when riding technical trails very fast. All that said I’m not pro or con any wheel size. I think it all really depends on your riding style, the weight of the bike, and what your strengths are: both physically and technically.